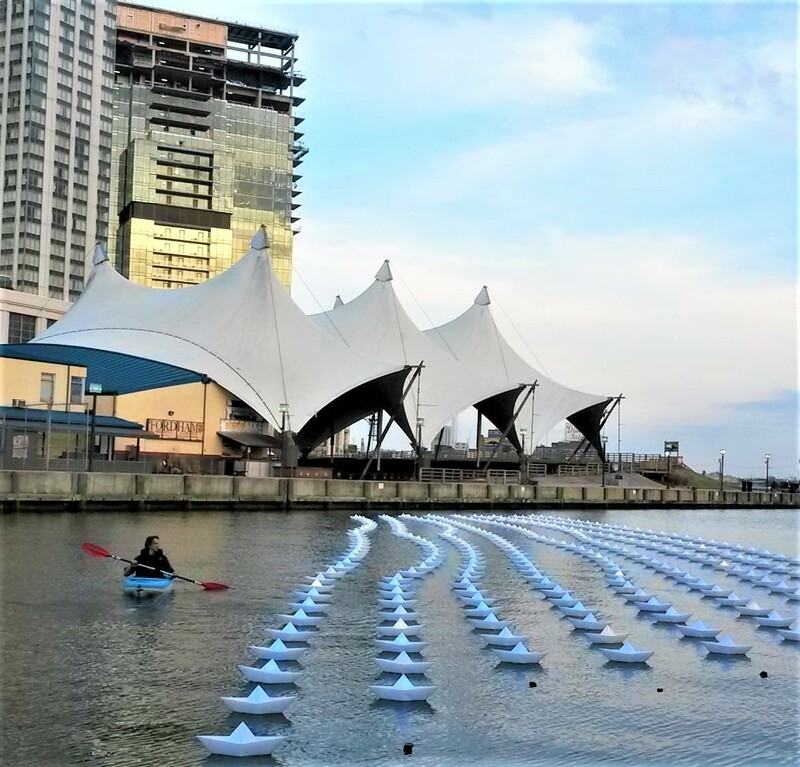 Light City’s innovation programming will generate an ecosystem of ideas and learning during the day – while lights, performances and live music reimagine the Inner Harbor at night. 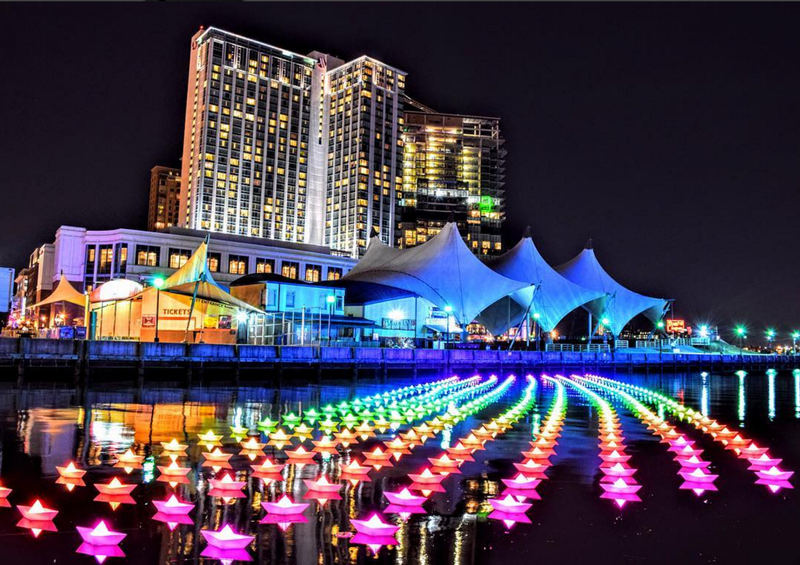 The BGE Light Art Walk features 28 lighted art installations on the Inner Harbor Promenade, floating in the harbor waters and projected on area buildings including our artwork Voyage, a rainbow colored flotilla of lighted "paper" boats in the harbor. Here’s a list of what you can see and hear at Light City. And check out this video that showcases some of those involved with the festival.